Having spent ten days in four beautiful, vibrant cities of Rajasthan, I wanted to experience its rural life before heading to Udaipur, my last destination of the trip. That is when I met Dhanraj, an enterprising and friendly local who organises safaris to a few villages in the Marwar region of Rajasthan. 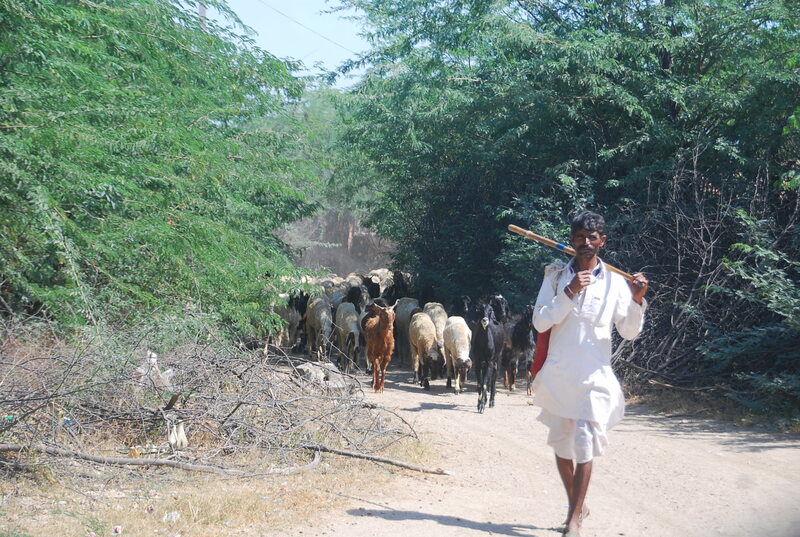 He welcomed me to his sprawling Farm house in Jhalamand, a Bishnoi village that lies a 20 min drive away from Jodhpur. The house stood there surrounded by farms, a garage lined with exquisite Jeeps and a shed that was home to two beautiful Marwari horses. His family shared that space with that of his brother’s and they all warmed up to me at the very instant. A brief chat and a hearty breakfast of hot aloo parathas and a glass of Lassi later, I started my village safari. 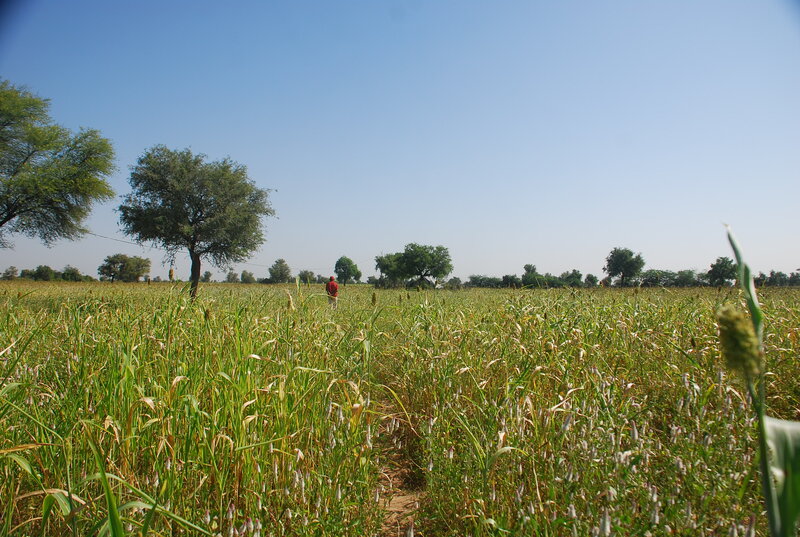 I followed Dhanraj as he took me for a walk through the vast millet fields of Guda Bishnoi village. The community is known to worship nature and for its beliefs in the conservation and protection of all forms of life. As we parked our vehicle and walked our way to one of the farmers’ houses, it lay empty as the entire family was busy in the fields. It was harvest season and the family had moved to a make-shift tent under the shade of a tree. As I sat down with them, they offered me a cup of hot sugary tea, and even though neither of us understood the language the other spoke, there was a warmth in their company. The youngest bride then offered to show me another make-shift tent that lay at a distance. To my surprise, it was complete with a Cable TV, refrigerator, table fan and cupboard! She then pulled out a large photo album from a steel suitcase – her wedding album – and smiled as she handed it to me. 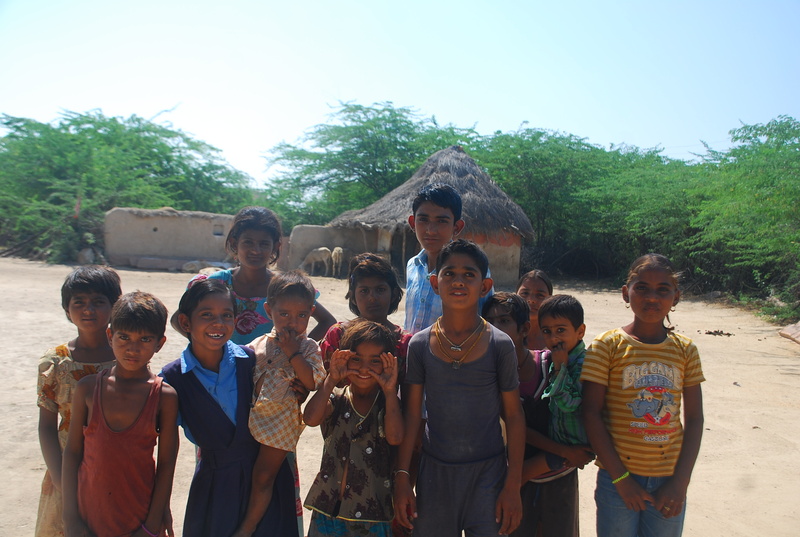 The village of Chota Guda is home to the Raika or Shepherd community of Rajasthan. The community is known to lead a semi-nomadic life and for their ability to handle large herds of animals in the harsh environment. While they traditionally bred and managed camels for the Maharajas for hundreds of years, they now manage herds of sheep and goats as well. While I was there, the children were very enthusiastic about showing me around their houses, most of which were simple one room establishments with a small fenced space for the sheep outside. These kids, used to tourists visiting their homes time and again, were more camera friendly than I had expected! 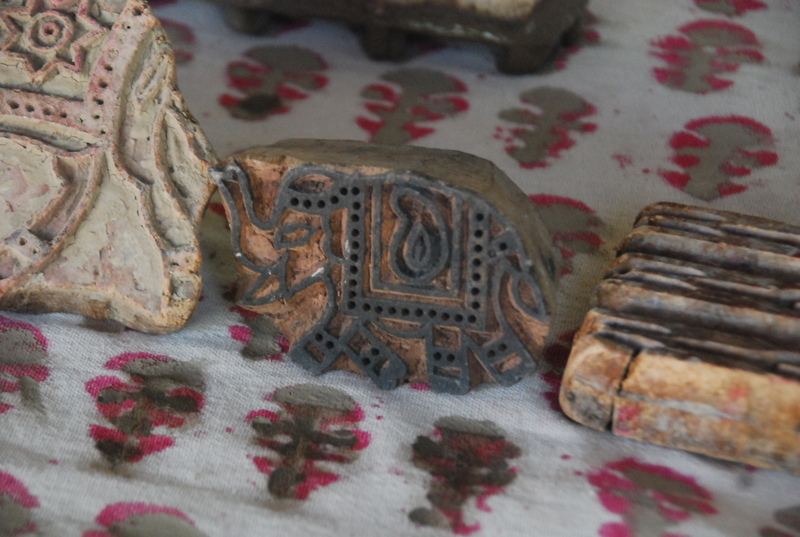 Singhasni village is one of the places where some of Rajasthan’s finest pottery comes from. 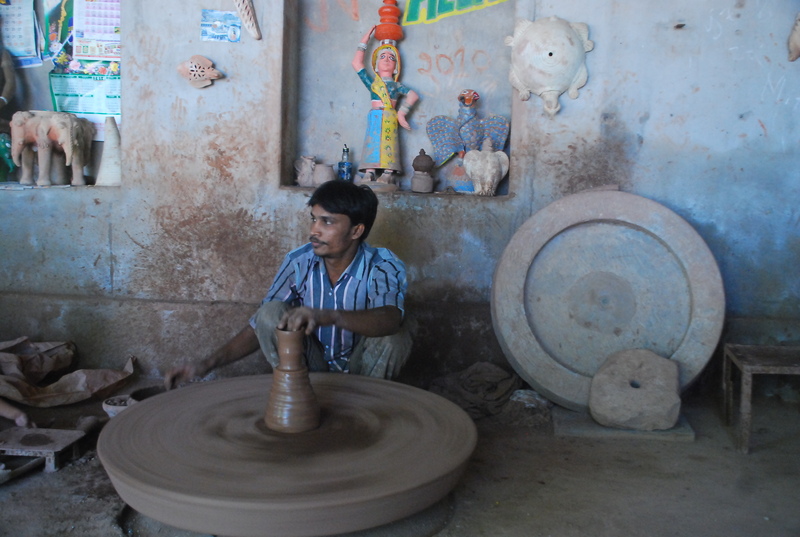 In a display workshop set up for tourists, I met Nizammudin, who created some beautiful clay elephants, puppets and vessels with such ease. In the same workshop space, I met Nathu Khan, a young man of the Chippa community which is know for its block painting skills. 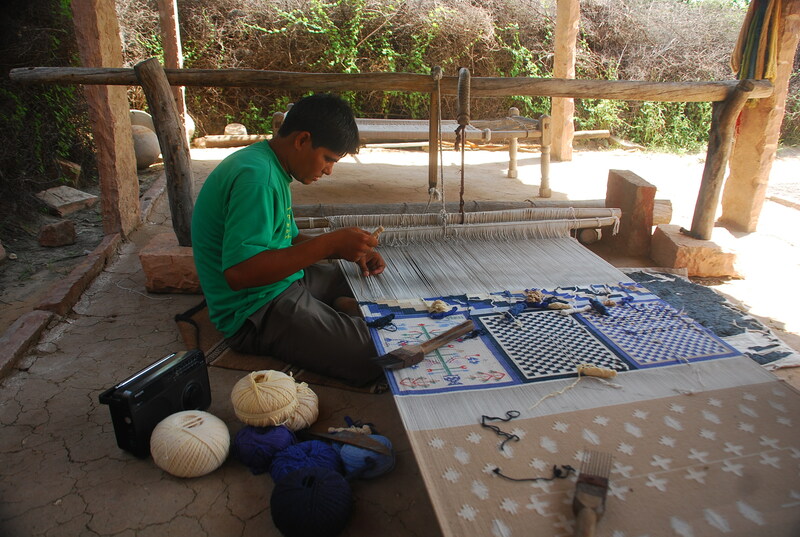 I heard him explain the way vegetable dyes are used to turn simple handloom cotton into works of art. He spread out colorful bedsheets in front of me, each more beautiful than the other, and showed me the casts that were used to create imprints on them. The international tourists buy his bedsheets in bulk, he said, and I could see why. Interestingly, he also turned out to be a Harry Potter fan! The last village that I visited was Salawas – home to the weavers community that makes carpets and wall hangings using cotton, silk and camel hair among other things. Leela Dhar sat there with a radio and hummed to himself as he worked on a carpet that he said would take another week to finish. He dejectedly spoke of juggling between farming and weaving owing to the work being too slow and tiresome, but immediately lit up as Dhanraj spoke of the time he’d made a carpet that was 150 feet long, ordered to be used for the staircase in Buckingham Palace! 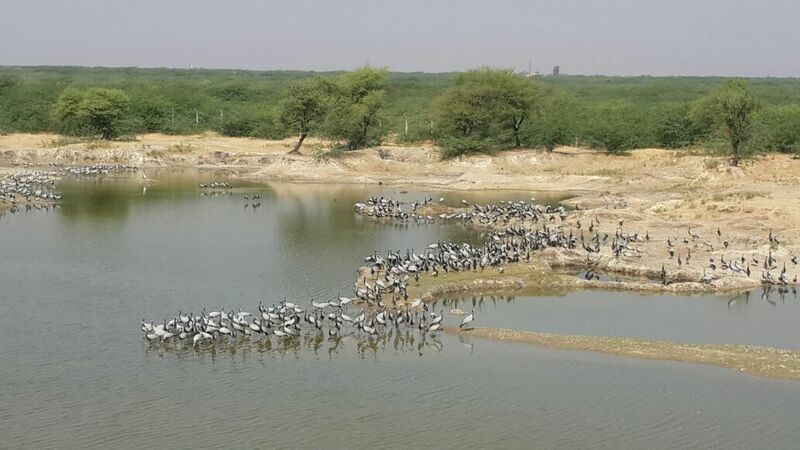 While I travelled before the Siberian cranes perched themselves in Guda Bishnoi Lake, one of my colleagues, Tejaswinee, was there recently and was lucky enough to enjoy this sight with her family. 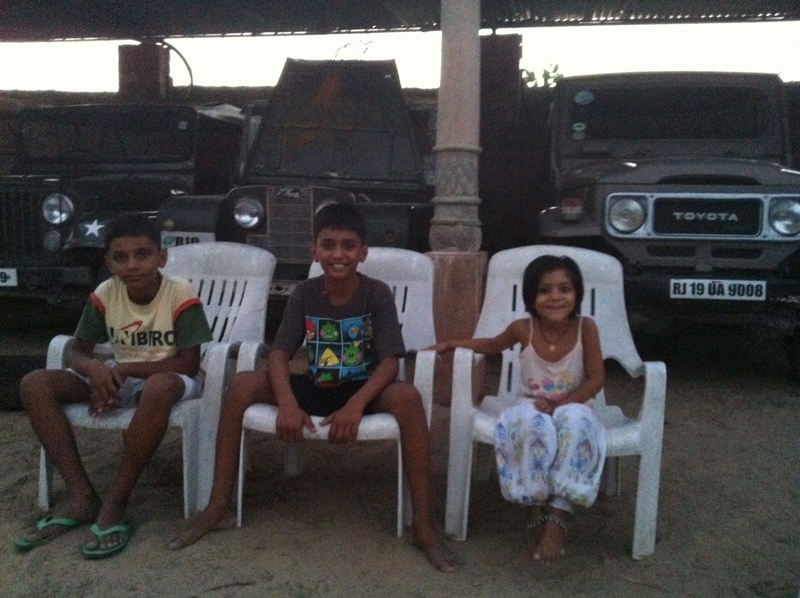 After my safari, I went back to Dhanraj’s farm house and spent the rest of the evening sitting on a Charpai and discussing everything from pets to adventure sports to education with his little kids. The day went by too soon but it is one that I most fondly remember from my trip. 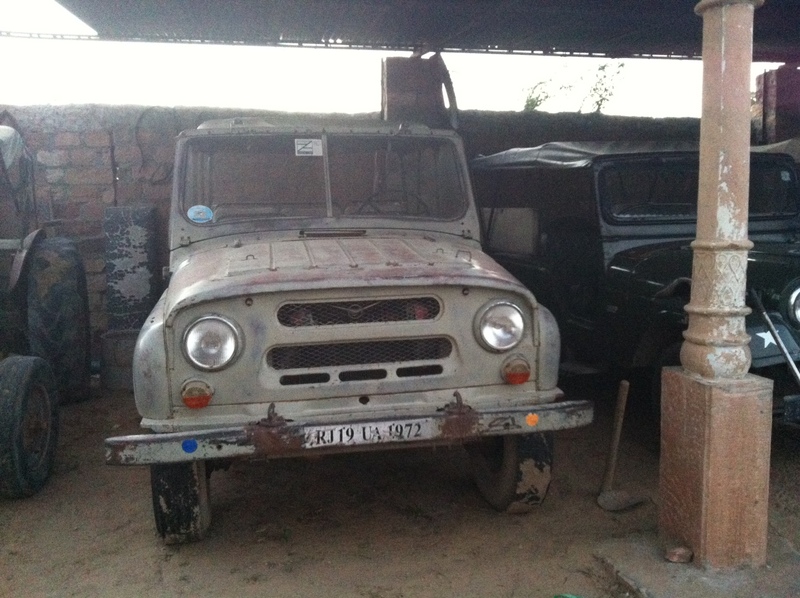 Oh, and if you’re a fan of good looking automobiles, the picture above is that of a Russian UAZ, a jeep once used by the Soviet Army and acquired by Dhanraj owing to the vast reliable network of jeep enthusiasts that he is friends with. My safari was arranged by Mr. Dhanraj of Bishnoi Village Safari Private Tours. You can book your safari by reaching him at +91 9829126398 or by visiting their website www.bishnoivillagesafari.com. About the Traveller: Born and raised in Assam, Sarita Santoshini has been travelling around India and penning down her experiences over the past year. She currently works as the Content Editor for SaffronStays. You can read more of her travelogues on her blog- http://crumbsfromyourtale.wordpress.com. 11 reasons I choose a Homestay over a Hotel, everytime! It’s really very beautiful. Rajasthani village had their own beauty. Thanks for sharing such a nice information with us.